Usually dispatched within 24 hours. Order up to 2.30pm for next day delivery. You are purchasing a Brand New Genuine HAWK Retail Boxed Universal Unique 360 Degree Full Rotation Angle Random Coded Wireless Remote Central Locking System Direct From UK Based Manufacturer. PROMOTIONAL PRICE FOR A LIMITED TIME ONLY !!!! QUICK AND EASY FITTING ON ALL CARS. You can fit HAWK wireless remote control central door locking yourselves in the time it takes your family to watch a Saturday afternoon movies. 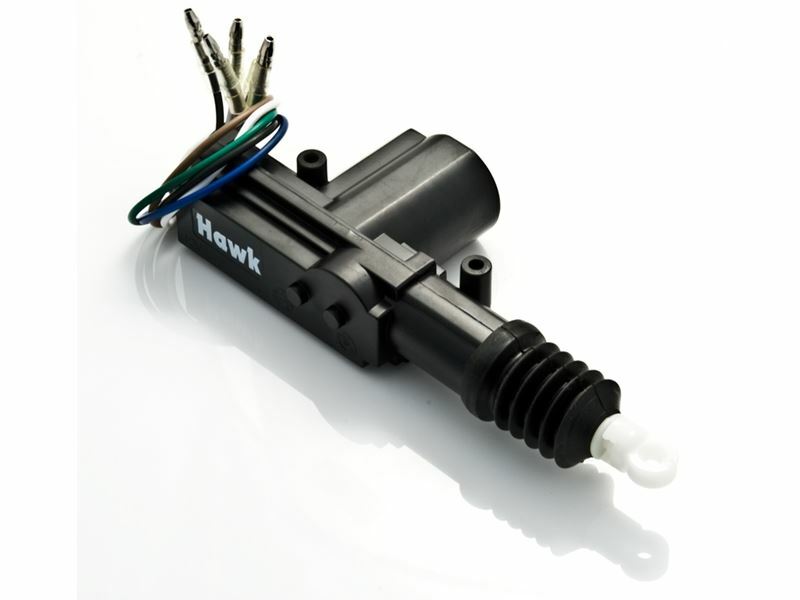 HAWK wireless remote central door locking is designed for ease of fitting and no specialist knowledge is need to understand it( full diagrammatic instructions with pack). ALL ROUND CONVENIENCE FOR YOU AND YOUR PASSENGERS. No more walking round the car to make sure your passenger have locked their doors. 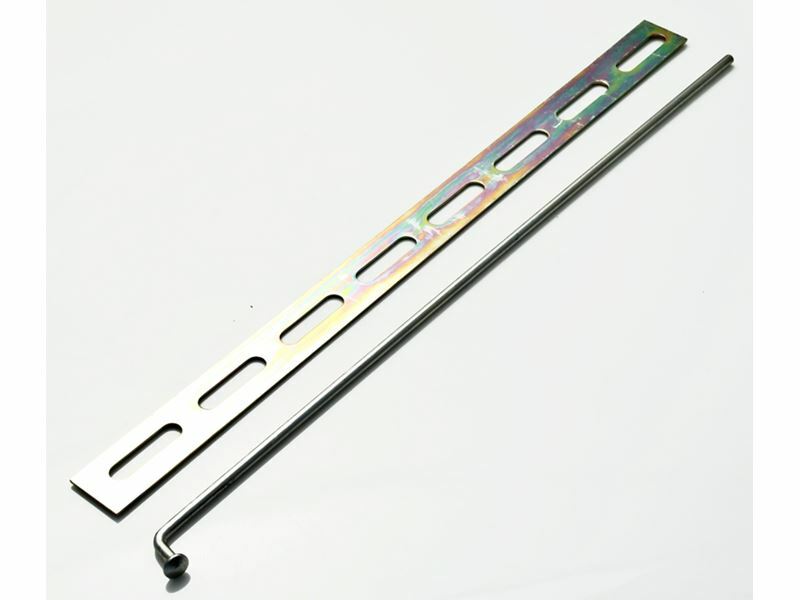 SIMULTANEOUSLY OPERATES FRONT AND REAR DOOR LOCKS. 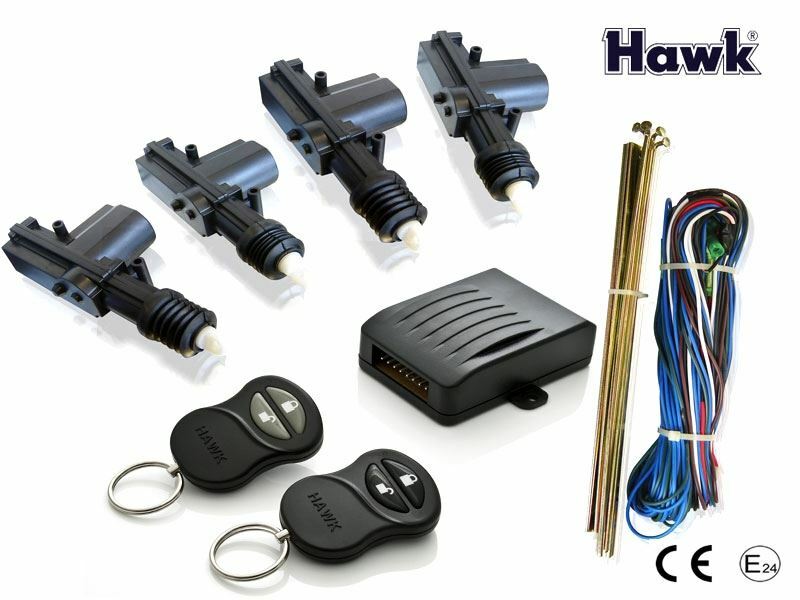 HAWK have developed this system to be totally compatible with all makes of car and function with existing door lock mechanisms( except some FORD cars with cable, need special adapter). Your existing car key continues to operate the locks. You will be able to enjoy the benefits now and reap the benefits when you sell the car, as central door locking will undoubtedly be a selling feature. ADDED SECURITY AND SAFETY FOR YOUR PASSENGERS. Car thieves come in all shapes and sizes. Some of them simply want to take advantage of an unlocked door to relieve you of your car radio etc. Others want to take your car for a joy ride. Others want to take your car. The thing is, not to make their 'Job' easier by running the risk pf forgetting to lock a door. With HAWK wireless remote central locking, when you've locked the drivers door you know you've locked the others,giving you peace of mind. Don't be a victim. 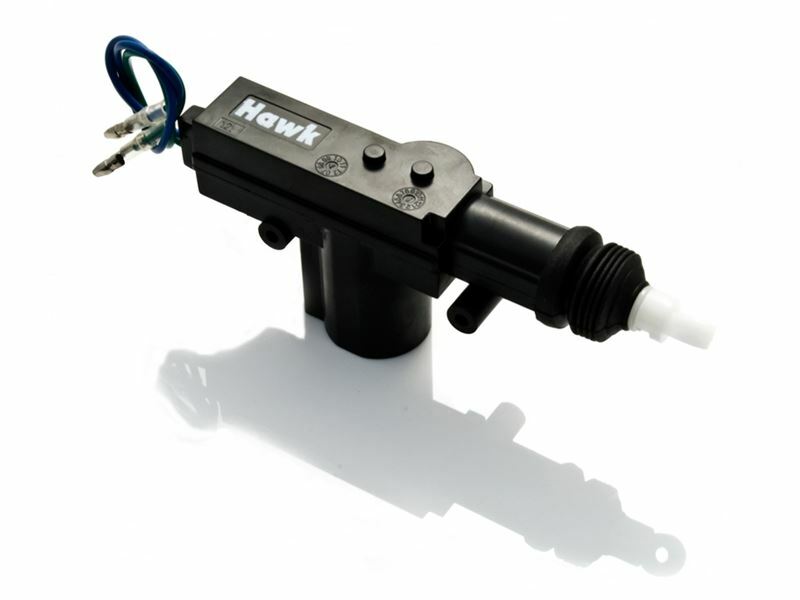 Make sure your 4 Door Remote Central Door Locking uses Random Coded remote controls like HAWK CDL-04R, if remote controls are not Random Coded;any one with cheap scanner or with Laptop with suitable software can grab your remote control key code and open doors without any key. Your car is precious to you, would you compromise on Car's security for sakes of few pence? This system has one master solenoid/control that has 5 wires. This means that the driver had full control over the locking/unlocking of all four doors. It can be upgraded to 5 doors. Please visit our Ebay shop for additional motor. This system is Patented 360 degree full rotation for head for extremely easy fit. This Unique system is not available any where in the UK. 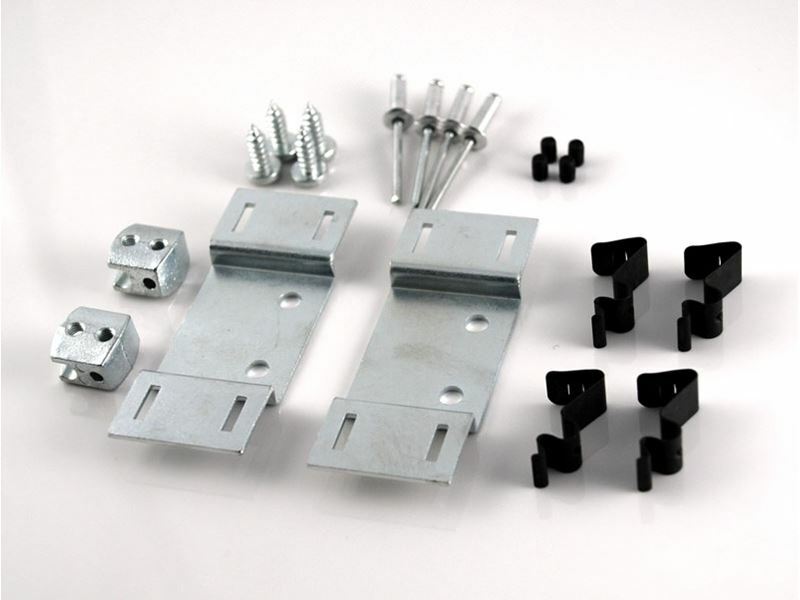 WE SUPPLY FREE EASY FIT STEP BY STEP FITTING INSTRUCTION WITH PHOTOS. There are also two wire that you can connect up to your alarm system giving you the ability to activate/deactivate your alarm and lock/unlock your doors at the push of a button using your alarm remote control. Hawkcaralarm.com customer reviews give you the chance to give your opinion on the latest HAWK products. See what customers had to say about this product below. To view more reviews or write your own review, use either of the buttons below.